If you are tackling the snow, ice, slush and rain this winter season in a light truck, SUV or CUV, check out the Bridgestone Blizzak DM V1, specifically designed as a studless snow tire for trucks that need solid traction and handling on varying road conditions. The Blizzak DM V1 handles the snow and ice through the NanoPro-Tech rubber compound, allowing the tires to not conform to the extreme conditions, the tires avoid getting stiff from exposure. The Multicell Z pattern center improves snow and ice traction by increasing the biting edge and improving drainage. Bridgestone recommends installing 4 Blizzak DM V1 for safe handling and maximum performance. 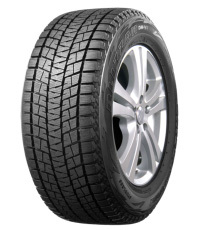 Shop for truck snow tires and SUV snow tires now from tires-easy.com!